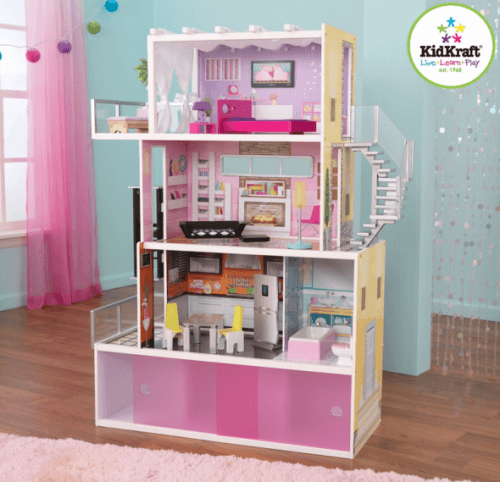 The KidKraft Beachfront Mansion is on sale for $99.99 at Amazon right now. That's 50% off the list price of $199.99! This dollhouse has an average rating of 4.8 out of 5 possible stars based on 82 customer reviews.